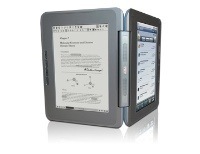 It seems like every day now, another new e-reader is announced. 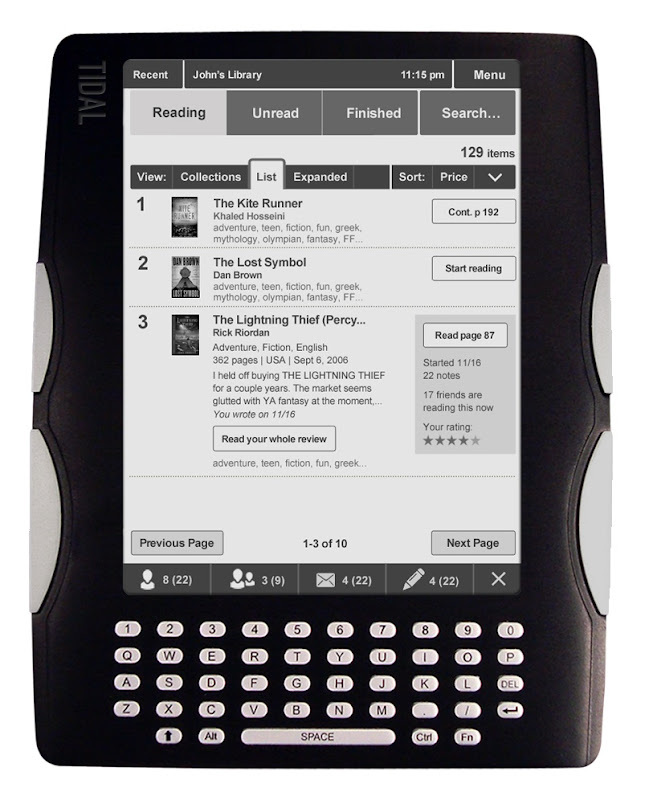 Some of them seem to have little to set them apart, but I saw two e-readers at BEA that caught my eye for their innovation. 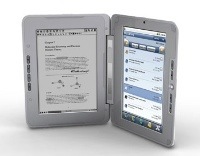 The first one is the enTourage eDGe, an exciting new dual screen reader. 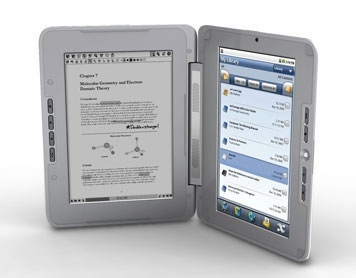 The left hand screen is a black & white e-ink screen for displaying your books, and the right hand screen is a full color netbook which runs the Google Android operating system. The e-ink screen is large and comfortably displays a fair amount of text. 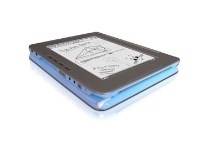 A stylus enables you to write and draw on the e-ink screen, useful for taking notes and annotating books. The netbook half is a full-featured netbook, and runs Android apps as well as Microsoft Office applications. 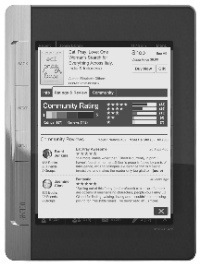 The current model has built-in WiFi, with 3G coming on future models. The screens can be held open side by side like a book, or can be folded back and held like a tablet. enTourage is aiming at the higher education market with this, and I think that it would be a perfect reader for college students. The touch screen would allow them to take notes in their textbooks, and the netbook gives them access to their email, internet, and Office applications. There are even skins available for the device. enTourage is working with textbook publishers to make their content available for the eDGe, and several large publishers have already been announced, including Elsevier's Science & Technology division, Wolters Kluwer Law & Business Books, and McGraw Hill Higher Education. 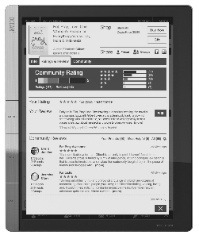 In addition, the eDGe can display any book in ePub or PDF format. The only drawback that I found to this device is its weight; it weighs slightly over three pounds, and it felt a little heavy to me. 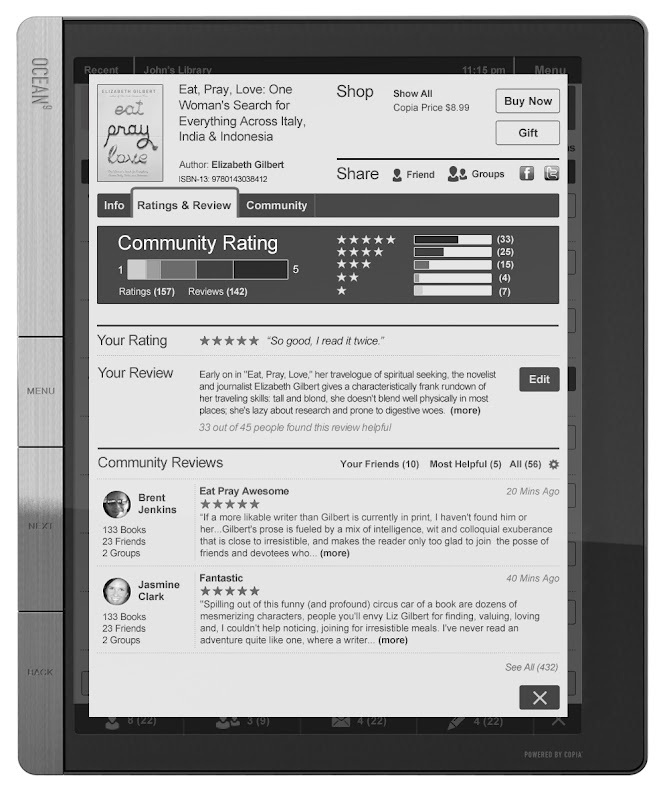 This definitely wouldn't be a device for my mother, who loves her Kindle and would have trouble holding this, but my mother isn't in the target market. It's lighter than some textbooks, and I think for college students it would be great. The enTourage eDGe is $499, with an additional $40 for some colors. 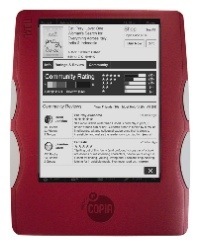 The other interesting e-reading experience I learned about was a new book social network called Copia, with e-readers that integrate the social capabilities. I didn't get to see the actual readers, but it sounds like an interesting concept. Copia is a new social platform for readers; it apparently combines content with social networking capability. In addition to recommending books, similar to other book social networks, readers can share their notes and annotations, in a sort of online book club. 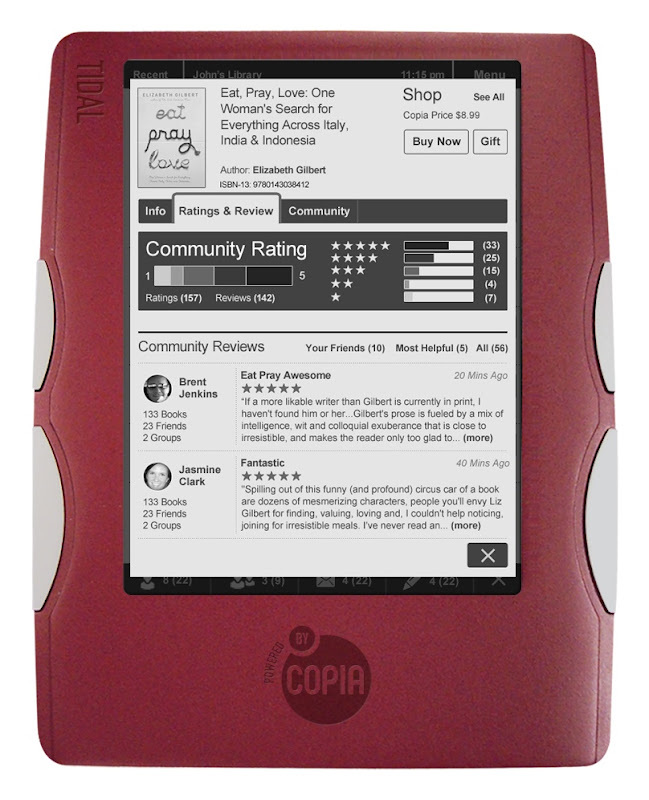 The Copia e-readers are e-ink devices in a variety of sizes and configurations, but with the ability to access the recommendations, conversations, and notes of your friends as well as the e-books you purchase. Copia is still in Beta testing, but you can find more about it at www.thecopia.com.